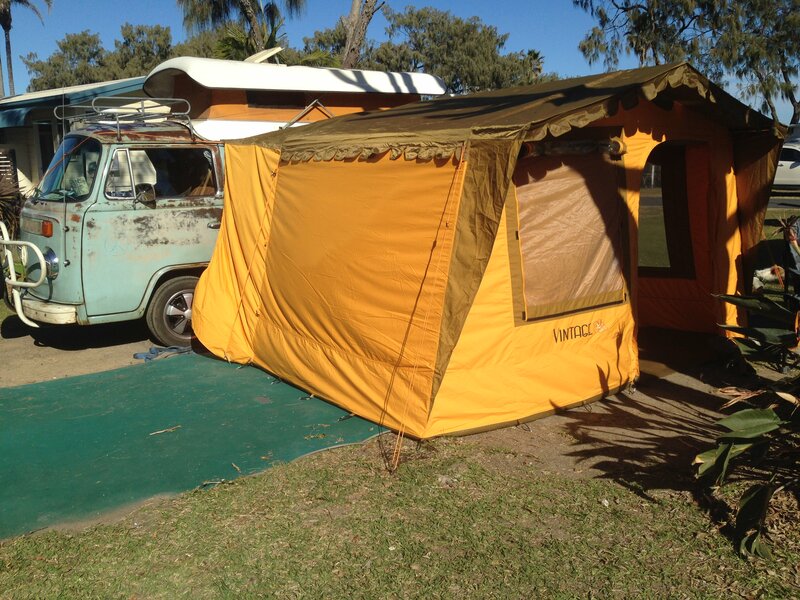 Discussion in 'Camping Australia' started by Aspro, Dec 26, 2009. You gone north again Brian? Here's me yesterday arvo pushing shorn sheep into shelter with a face full of sleet and I bet your in shorts! Walking along the beach in shorts and a t-shirt before sunrise and seeing the sun come up over the Keppell islands seems slightly better than the shorn dumb sheep option. Very funny watching the local girls being unable to cope with fifteen degrees and being unable to go out without jumpers and scarves. Apart from that we are pretty much experiencing the same temperatures : the maximum there is about the same as the minimum here. I should be back in time for Morgan. Vitolo72, Ninga, Wayne murray and 2 others like this. Camped beside a creek so awesome you have to say its name twice. 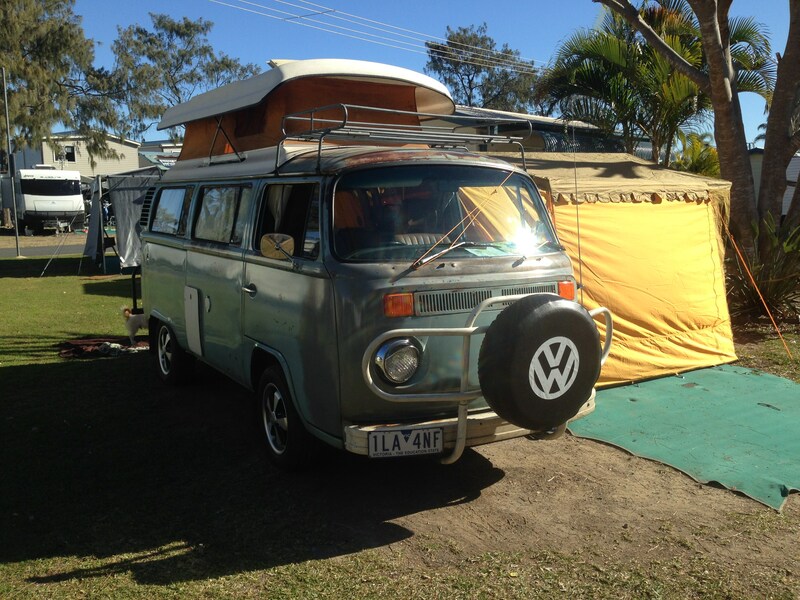 Joy Kombi Wolfsburg, Ninga, David H and 2 others like this. 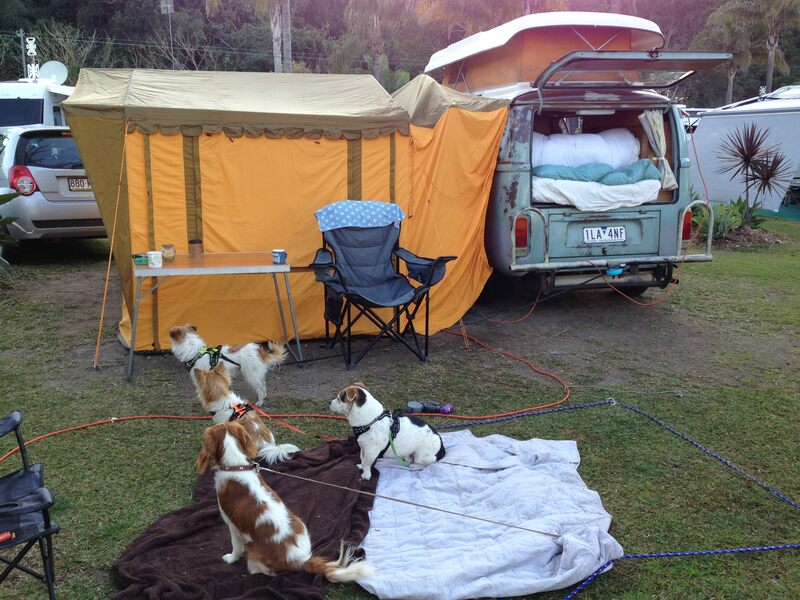 tintop and Joy Kombi Wolfsburg like this. Joy Kombi Wolfsburg, Wayne murray and Tangles like this. melissa, Wayne murray and Grantus like this. Wattie, David H and melissa like this. Port Pirie beach side caravan park. Camp site 1. Will put tent up. Should have stayed at Port Broughton! Lawn needs watering . What's the amenities like ? We're on the old block. Clean with good hot showers. Will check out the newer ones later. Bloke at the pub tonight said he locked his car doors and drove out when he looked at the other park out on the highway. Pt Pirie's radio advert lately is "Change change change, see how we've changed!" Somehow I think they've still got a bit more to go. I can't talk, we live in Peterborough which is officially one of the lowest socioeconomic communities in SA. It's the only way I can pretend to be in a higher social bracket! David H and Wattie like this. Checked out the rest of the park and other amenities. Pretty good. Clean and tidy. Much of the look of the park is a lack of water. 4 inches of rain would improve the area. But we're not drought declared.